Technical, Technology and STEM Education is riding a positive wave of investment, innovation and recognition for 2019. New curriculums are being offered. State, Local, and Federal Government are increasing investments in hands-on education to fill industry needs. Opportunities in advanced manufacturing, construction and the skilled 21st century workforce are being offered by industry. This is our opportunity as Technical Educators to lead the next generation into a productive and fulfilling life. Technical Education Publishing is offering a multi-media platform to serve the educators and the field. You will note the name and format to the website and newsletter. Our 24/7 news and information portal is called Technical Education Post, and you will be receiving the Technical Education Bulletin as our newsletter. You will be able to communicate with us @techedmagazine.com, and we have special print editions planned annually called Technical Education Magazine. So, things have changed but stayed the same. We are still the source for information and news of the marketplace. You are part of over 200,000 professionals at over 13,500 school districts, 952 community colleges, 327 universities that are our audience. We have several domain names directing to you, including: techedmagazine.com, stemeducationsource.com, technicaleducationpost.com and technicaleducationbulletin.com. All these domains click to a part of the same informational web server. We are offering news and information for all subjects of technical education. 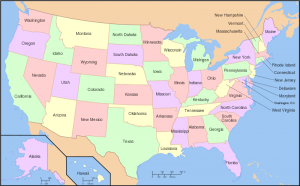 We have sections for every state. We have directories of projects, products and grants. We will encourage, enlighten and inspire. We will discuss the future of work, the skills gap, apprenticeships, and how artificial intelligence, cybersecurity and new technologies affect education. There is more to come. We welcome your feedback, on the website, through Linked In social media, or write or call. Please let your colleagues know about our service and direct them to our subscriber page.